This 2010-2013 Camaro polished stainless steel front lip spoiler overlay. This overlay package is designed for factory GM ground effects. Simply peel and stick in place. 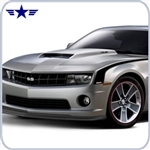 This 2010-2013 Camaro kit is made from T306 highly polished stainless steel and will never fade, rust or tarnish. Great quality product! 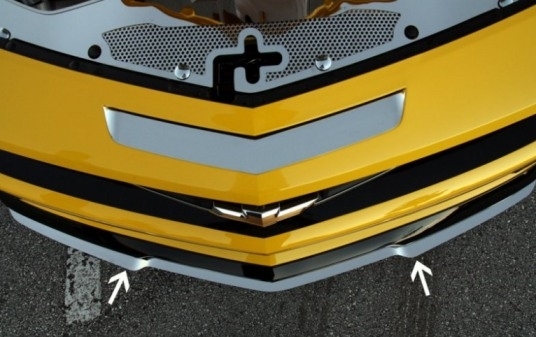 This spoiler overlay kit will only fit V8 cars with factory GM Ground Effects.